Smooth ... supple ... soft ... and clear ... We all want to have baby-perfect skin. 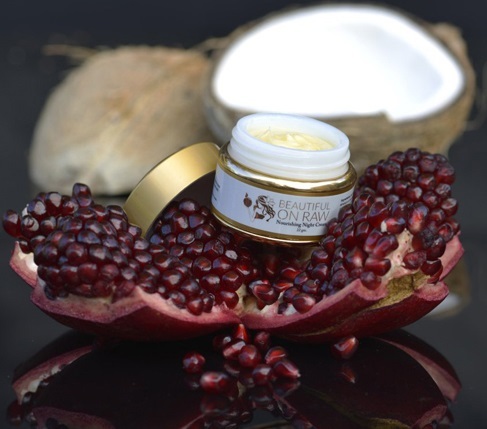 Beautiful on Raw™ brings you ... the Purest, Truly Natural Nourishing Night Cream. NO preservatives, NO emulsifiers, NO stabilizers, NO artificial fragrances. Made from cold-pressed oils, this cream is as close to "raw" as it's possible to get. 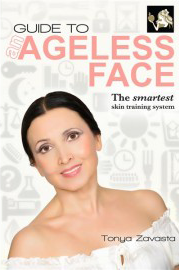 For most of us, having baby-perfect skin is not all that much trouble when we’re young. But after forty, and especially after fifty it gets tougher, doesn’t it? At middle age and beyond, good skin is not happening on its own. Why Do We Need a Night Cream? 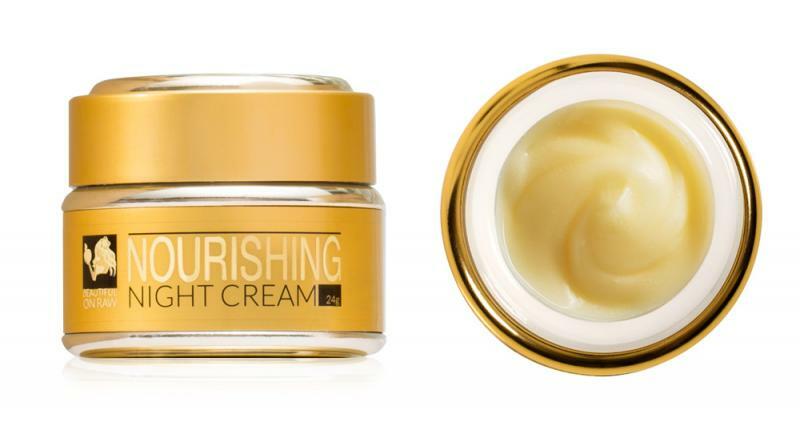 A night cream is designed to nourish and moisturize. It fights the fine lines and dry skin. In addition, a good night cream has to combat the reduced skin elasticity that aging brings. What’s more, a night cream works while you’re sleeping. Day creams—primarily moisturizers, most of them—are lighter in texture, in viscosity, than night creams. Night creams tend to contain more in the way of nourishing, anti-aging active ingredients to help renew cells, restore elasticity, and combat the appearance of fine lines and wrinkles. A good night cream must also help repair the damage caused by sunlight, pollution, makeup, and free radicals. Night creams also tend, in particular, to be oilier. That heavier texture results in part from those different ingredients. A night cream’s higher viscosity also helps the cream stay on your face, which often comes in contact with sheets and pillows while you sleep. Here’s a fact you might find news … Your skin itself is different at night. Specifically, your skin both loses more moisture at night, and peaks at night in its ability to absorb active ingredients. The more natural and organic the ingredients in your night cream, the better it is for your skin. Tough truth: You’ve got to have a preservative as long as a cosmetic product contains water. Can you make a cream without preservatives? Strict truth: No—depending on what you mean by cream. So what’s the next best thing? Answer: a product that isn’t strictly a cream, but behaves like one. The only possible starting point would be cold-pressed oils. But then the problem becomes: How to make the product look and work like a real cream, and not like an oil? That was my challenge. And we overcame it. The result, in my night cream: a luxurious emollient consistency. The light, heavenly scent of Ylang Ylang oil. Use my night cream, and you get the feel of a spa treatment, and you get it every night. Yes, it does have a somewhat oily feel, because it doesn’t contain any water. But, better, it also contains no preservatives, and contains no ingredients at all that will interact in any undesirable way with your skin. Hello Tonya. You have done it again! Your Night Creme is delightful. The scent and the texture is beautiful. My skin is so soft and smooth in the morning when I awake. Also, I am happy you developed a top quality Castor Oil in a small bottle. 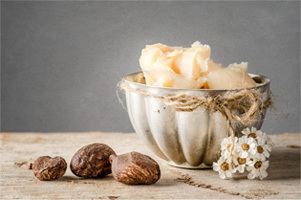 Shea Butter, extracted from the nut of the African shea tree (vitellaria paradoxa), contains essential vitamins helping skin look and feel smoother, softer, healthier, and more elastic, as well as reducing blemishes and wrinkles. Sweet Almond oil regenerates tired, damaged skin, locking in moisture and reducing the signs of aging, especially loss of skin elasticity, and imparts a special glow unlike anything else. Coconut oil, as a conditioning agent, improves the look of dry or damaged skin by reducing flakiness, restoring suppleness, and slowing moisture loss. 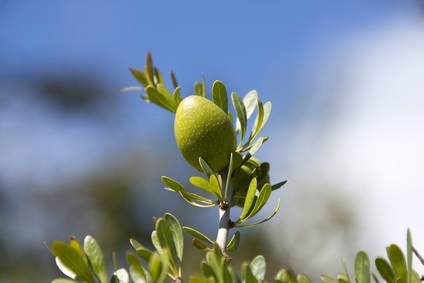 Argan Nut oil regulates skin’s pH balance, reduces skin inflammation, helps cure skin disorders such as eczema and psoriasis … and soothes itchy skin caused by dryness or allergies. 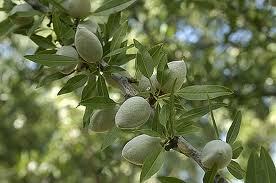 Argan is great for oily skin, too—regulates sebum production to keep skin’s natural oils at a healthy level. 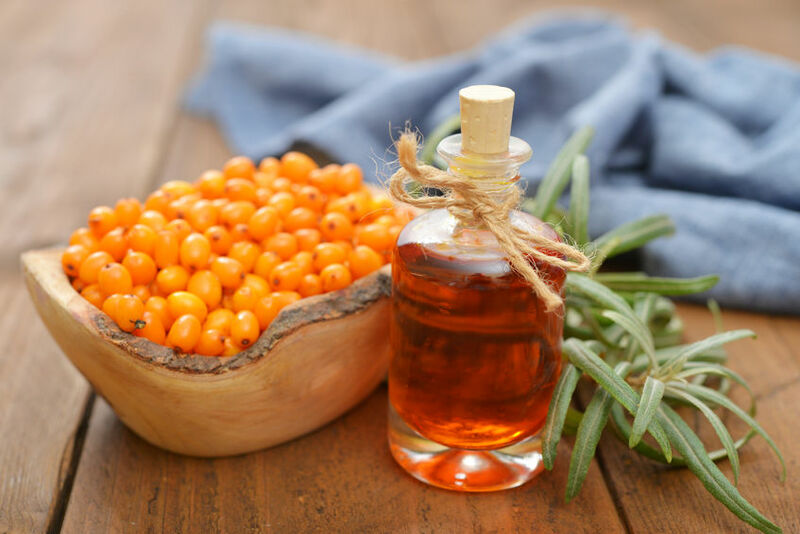 Seabuckthorn berries contain a high percentage of Vitamins C, E, and beta-carotene. Combined, these powerful antioxidants function as part of the body's natural defense system, combating wrinkles, dryness, and other symptoms of aging or neglected skin. 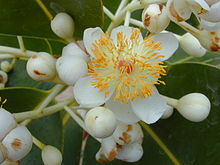 Tamanu oil is a remarkable oil offering healing, anti-inflammatory, antimicrobial, antibiotic and antioxidant properties. 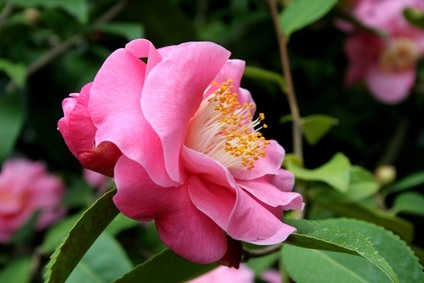 Camellia seed oil is good for preventing damage from sun and for reducing signs of aging, such as wrinkles and age spots. 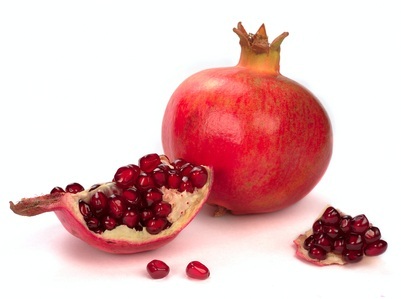 Pomegranate seed oil stimulates keratinocyte proliferation, promoting regeneration and strengthening of the epidermis. 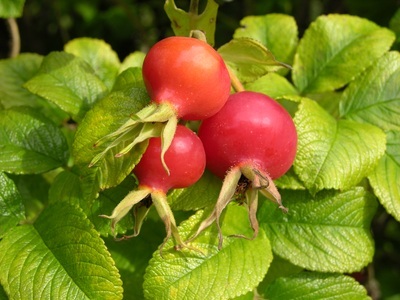 Rose Hip oil is a superb tissue hydrator with high absorption, penetrating dry skin almost instantly to restore moisture balance lost through climatic dryness and air toxicity. Ylang-Ylang was added for its all-natural, gentle aroma. 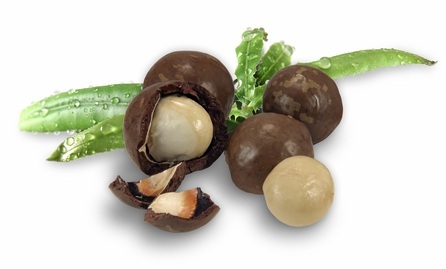 We neveruse artificial scents in any of our products. Or, if you’d rather not, simply apply another hot towel, followed by a few splashes of cold water. Your skin will GLOW! Simple to be sure, but you'll be amazed at the results!